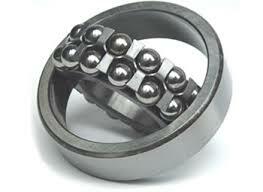 Self Aligning ball bearings have two rows of balls with a common sphered raceway in the outer ring. This feature allows the unit to be self aligning which permits angular mis-alignment of the shaft relative to the housing. 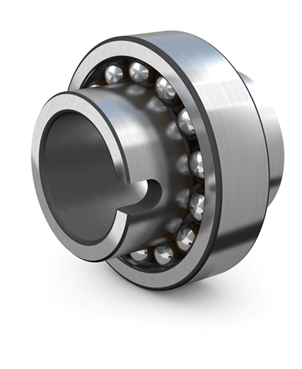 This makes them suitable for applications where errors in mounting can cause mis-alignment or form shaft deflection. 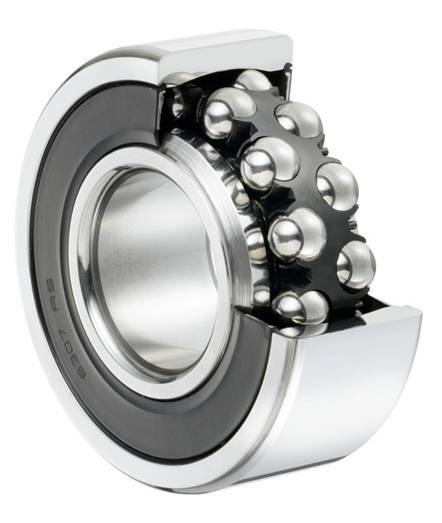 If the bearing is required to carry high loads then it is suggested that Spherical roller bearings are used in place of these.